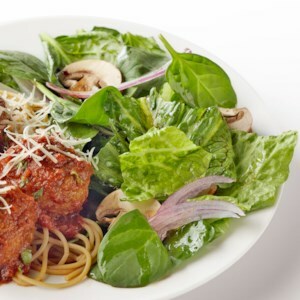 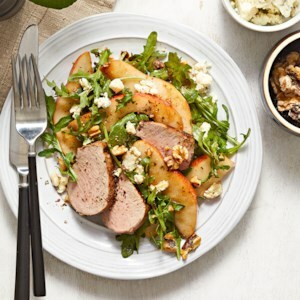 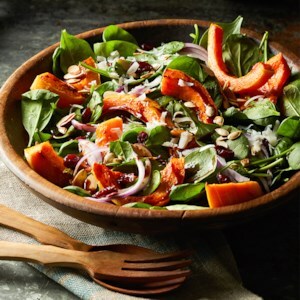 Find healthy, delicious winter salad recipes, from the food and nutrition experts at EatingWell. 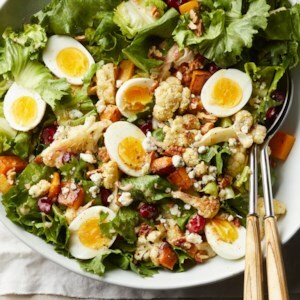 This foolproof formula will have you tossing up healthy salad recipes whenever the mood strikes you! 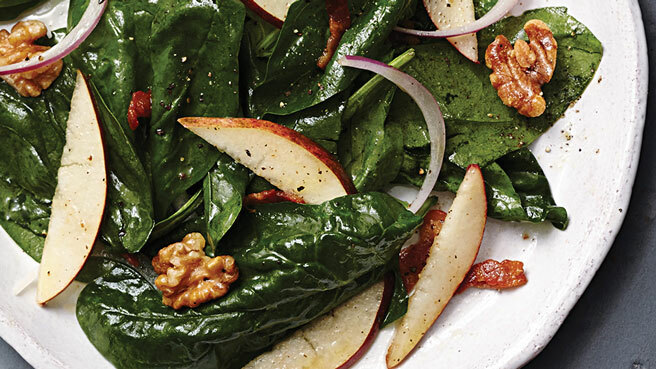 Top this warm pear & spinach salad with sliced chicken breast for a healthy weeknight dinner. 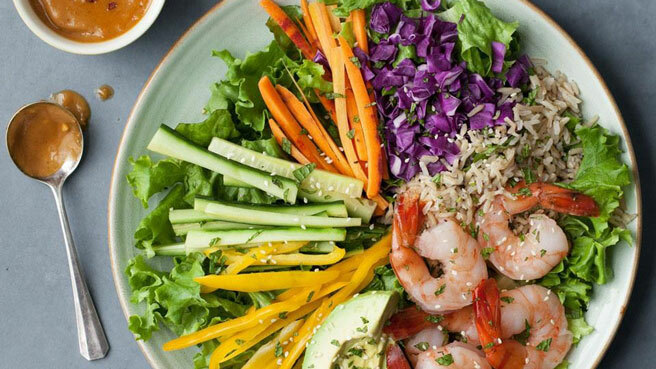 No more boring salads. 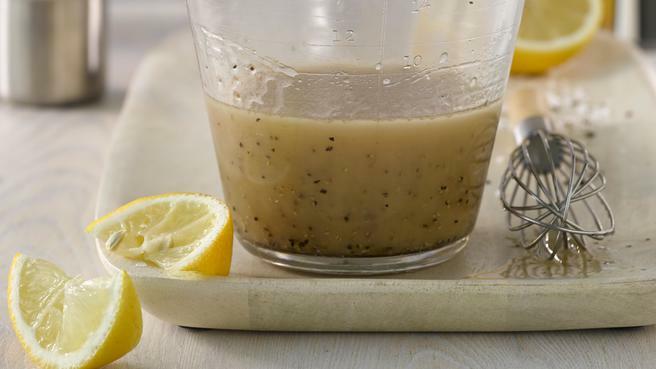 Once you start making your own dressing, there's no going back. 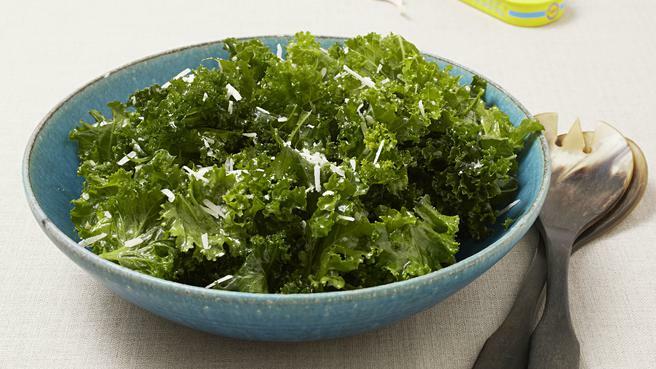 Use your hands to massage dressing into the kale, which makes it softer and less bitter. 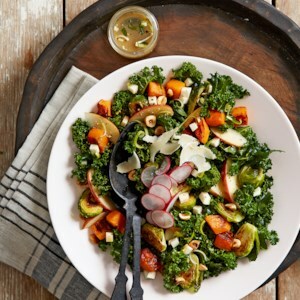 A wonderful kale salad with roasted butternut squash and Brussels sprouts features a special vinaigrette dressing and a topping of toasted hazelnuts and Parmesan cheese. 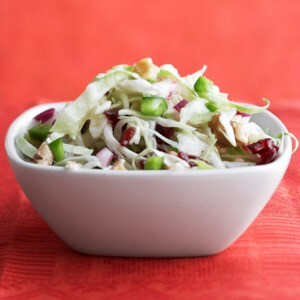 You'll be proud to serve this gourmet treat at any formal meal. 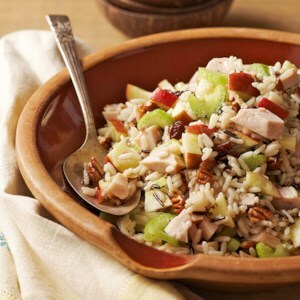 This main dish, grain salad features a wild rice mix and cooked turkey breast and is ready in just 25 minutes. 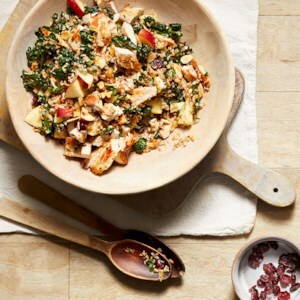 Sweet apples and dried cherries are a pleasing contrast with the crunchy celery and toasted pecans, and the thyme-flavored dressing enhances all the different flavors nicely. 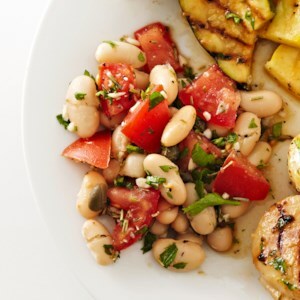 It can be chilled for up to 24 hours, so consider making it a day ahead. 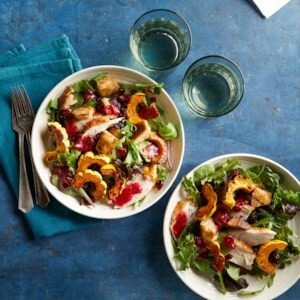 This roasted butternut squash salad is topped with sweet cranberries and a savory balsamic drizzle. 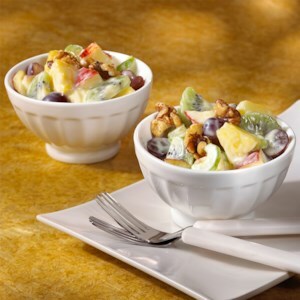 Lemon yogurt and honey flavor this lighter version of a favorite classic fruit salad. 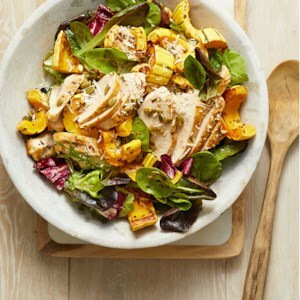 Quick, simple and packed with satisfying protein and fiber, this salad makes a perfect lunch or easy one-dish dinner. 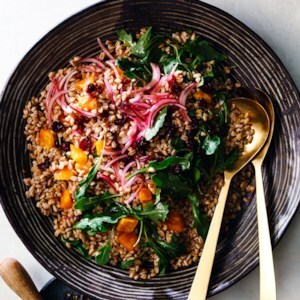 This super-satisfying salad gets a whole-grain boost from cooked quinoa and crumbled whole-grain crackers. 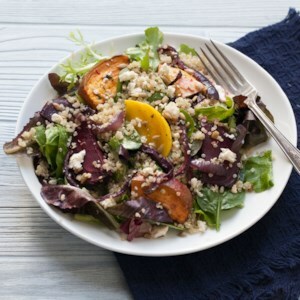 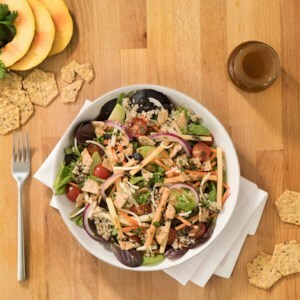 When shopping for this healthy salad recipe, be sure to pick up the right type of persimmons. 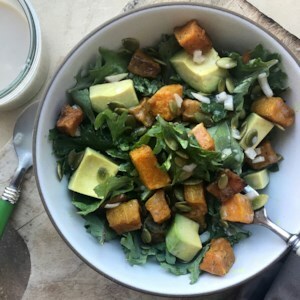 The flat-bottomed Fuyus called for here are bright orange and have texture of an almost-ripe peach when ready to eat--perfect for salsas and salads, with or without the peel. 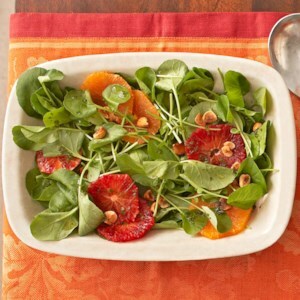 Oval-shaped, darker orange and larger Hachiyas are only edible when almost liquid on the inside. 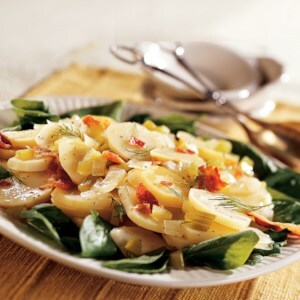 The flesh is best used in baking or can be scooped out of the skin and eaten like custard. 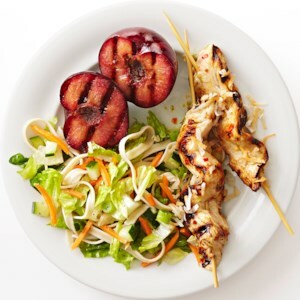 Underripe, they are off-puttingly tart. 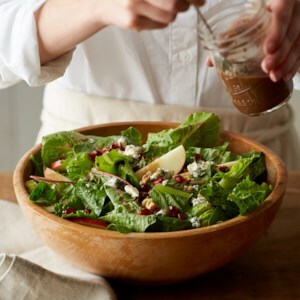 This festive salad features colorful greens, fruit and cheese tossed with a light and zesty dressing.